2, in the Des Moines Territory, Iowa. His siblings were; Sarah Elizabeth, Susannah, and Gideon Phillip Sells. His mother died in 1845. Elijah was now a widower and raising a family by himself. His father married a second time to Frances Cox in 1848 in the Des Moines Territory. This union gave Marion half-brothers and sisters; Rachel, Lucinda Jane, Thomas Jefferson, and George Washington Sells. 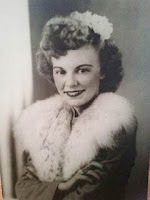 Marion's family remained in and around the Des Moines Territory for many years. 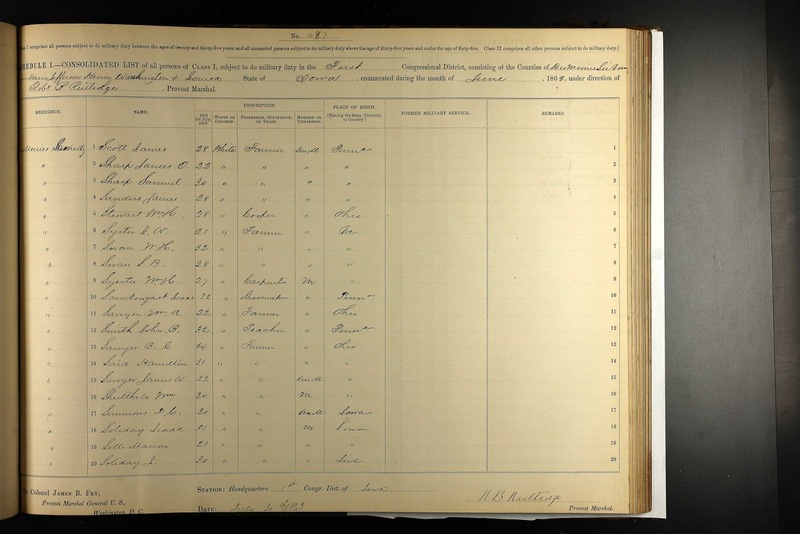 In the 1860 Census, they had moved to Chambersburg, Clark, Missouri. On the 1900 Missouri Census, it states that Marion and his wife Samaria Thompson-Traister were married in 1862. It shows they had 13 children and that is correct. It is the marriage date that is confusing. The marriage record below states they were married on May 30, 1869, in Clark County, Missouri, but I have been unable to find the marriage record for 1862. On this census, it says they were married 38 years and that would be correct as of the children's birth dates. So I am not quite sure why the dates are different. 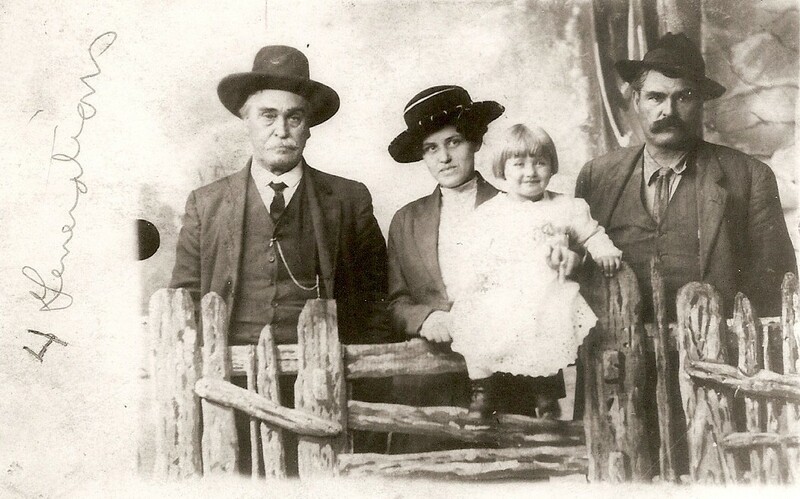 Children born to this union were; Sarah Maria, Marion Emanuel, Dorcus Ann, Columbus (my great-grandfather), Elijah, Samaria Alice, Amos, Edith Mary Lucretia, Liewedith, Dollie, Lottie, Grover Cleveland, and John Wesley Sells. 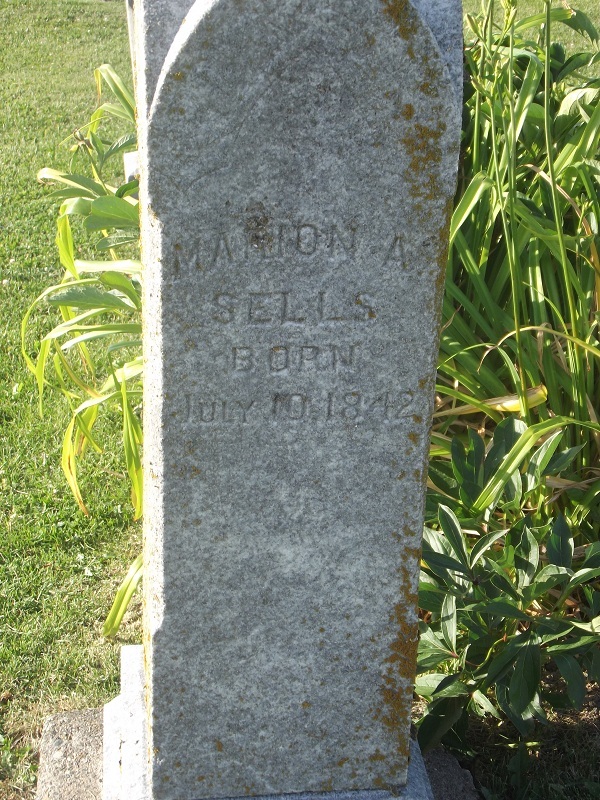 As the Civil War broke out, Marion signed up for the draft, he enlisted June of 1863 in Iowa. He was a farmer and twenty-one years old. I don't think he served in the Civil War, I have not been able to find any other record but the enlistment record below. By the Census of 1880, they still were living in Clark County, Missouri near Chambersburg. In 1910, in Lincoln, Missouri he was living with his son Elijah and his family, he was listed as a widower. By the 1920 Census he was now living with his daughter Edith Sells Hopp in Lincoln he was seventy-seven years old. 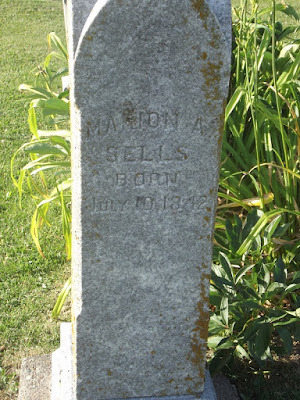 On December 22, 1924, Marion Abraham Sells died in Chambersburg, Missouri and is buried in the Chambersburg Cemetery. He was eighty-two years old. Other family members are buried there as well.